Looking for a forecast for your future? 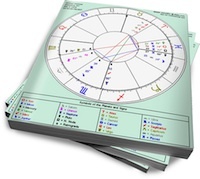 Although astrology is not a crystal ball, it does allow us to observe how the current movements of the planets corresponds with significant changes in our personal lives. These changes are unique to you, based on the exact date, time and location of your birth. Where shall we send the Report? Tell us about the person who this report is for. When should the report begin?